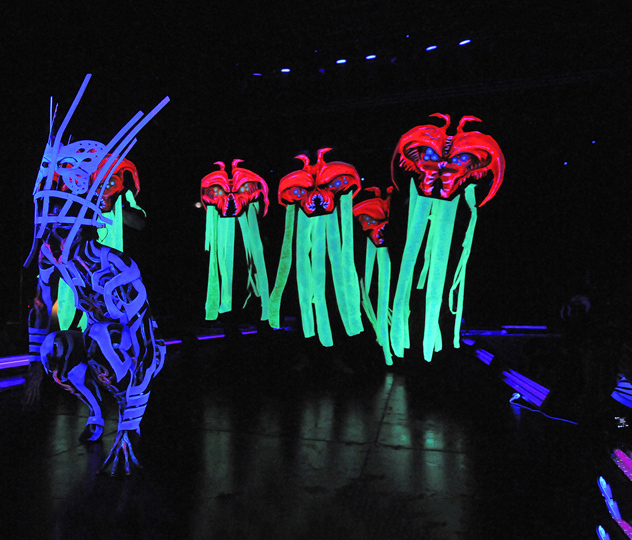 World award winning body painter and world ranking makeup artist Victoria has been delighting audiences from all over the world with her body art, with her 3D UV body art having to be seen to be believed. 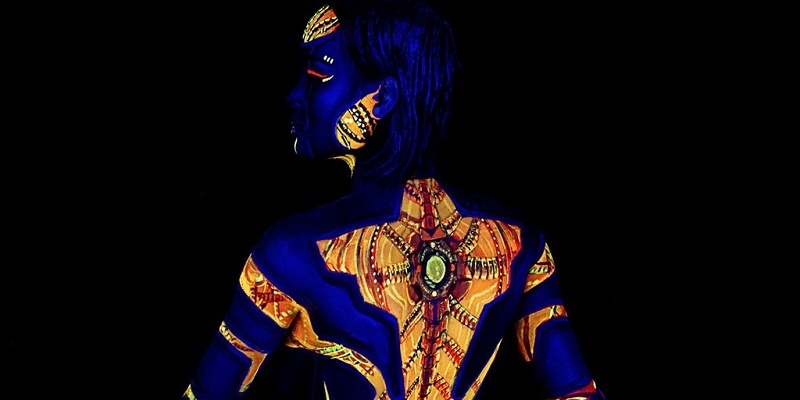 She is available to hire for corporate events, private parties, balls or weddings and will leave the guests at your event amazed with her exceptional body painting skills. 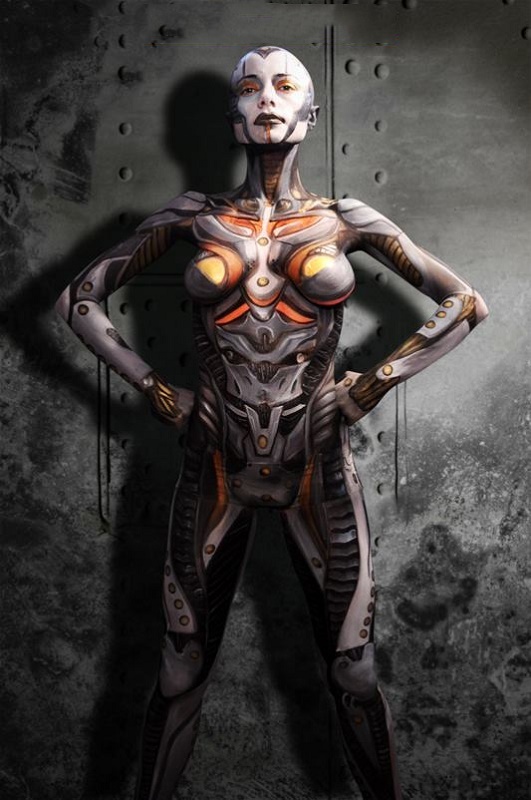 Her ultra violet body painting work has graced The Guardian and has seen her become a makeup artist on Guardians of the Galaxy, Channel 4 and PRIDE and was recently featured on Channel 4’s Superhuman Body handbook. Let her beautiful work take you to another realm of existence, where anything is possible and your imagination can run wild. 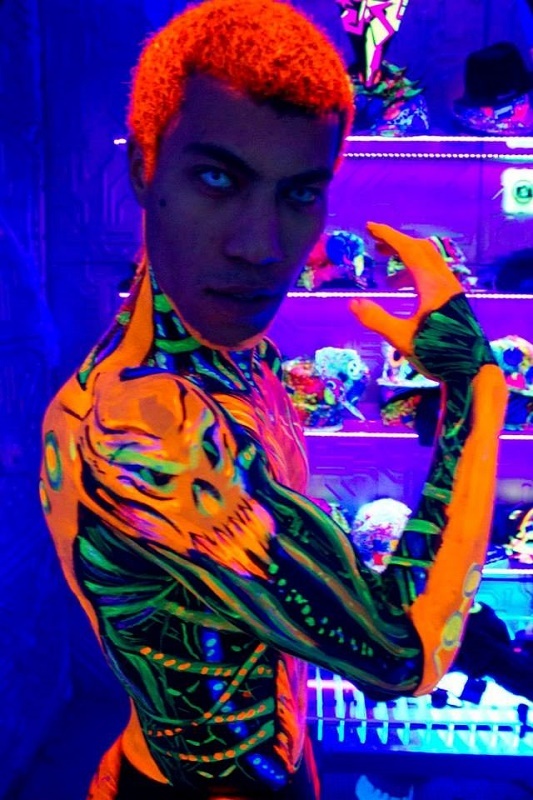 Under black light, everything from models and dancers to cosplayers become beautiful unique entities that captivate. Need something bigger and better? Victoria can also create art installations featuring multiple models, as well as literally paint people as living canvasses, camouflaging them into works of art before your eyes. AWESOME! I never want to take my bodypaint off!